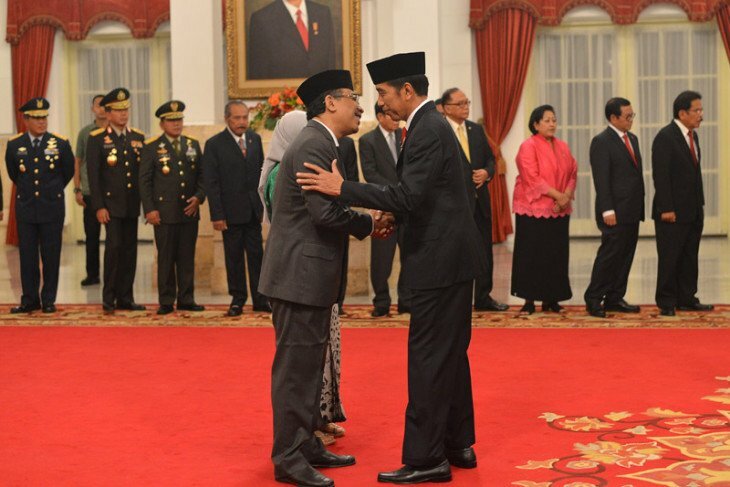 JAKARTA, Indonesia: On May 31st, 2018—at a public ceremony attended by the Vice President, ministers and other state officials—Indonesian President Joko Widodo administered the oath of office to Nahdlatul Ulama General Secretary Kyai Haji Yahya Cholil Staquf, who will officially advise the President on religious, domestic and international affairs. 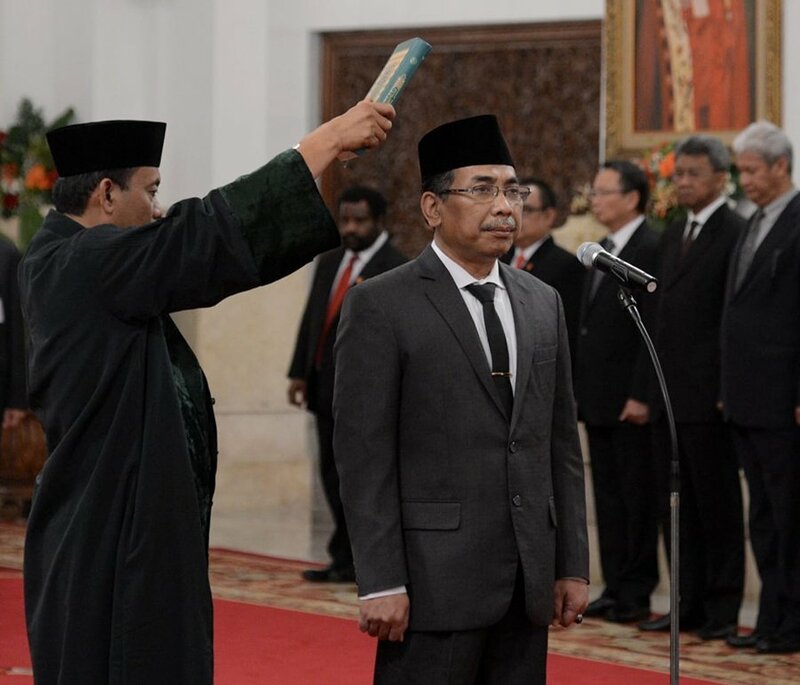 Mr. Staquf joined the 9-member Dewan Pertimbangan Presiden (Presidential Advisory Council), a constitutionally-authorized body whose members may attend cabinet meetings and are accorded a rank equivalent to Minister of State. Following his inauguration, Mr. Staquf said, “Over the past 50 years of Indonesian history, most strategies and endeavors to address our nation’s problems have focused upon the domestic context [of these problems]. Even when steps have been taken to address their international context, these actions have generally been pragmatic and technical in nature, and neither contemplate nor entail the execution of a ‘grand strategy.’ We need to raise our collective awareness and realize that we are heirs to an immense storehouse of wealth, bequeathed by ancestors, which is primarily civilizational rather than economic in nature. “The first president of the Republic of Indonesia, Ir. H. Ahmad Soekarno, often said that Pancasila [the philosophical foundation of Indonesia as a pluralistic, multi-religious and multi-ethnic state] constitutes the essence of the spiritual wealth mined from our native soil, and tirelessly offered the example of Pancasila as a sublime gift from Indonesia to the world. 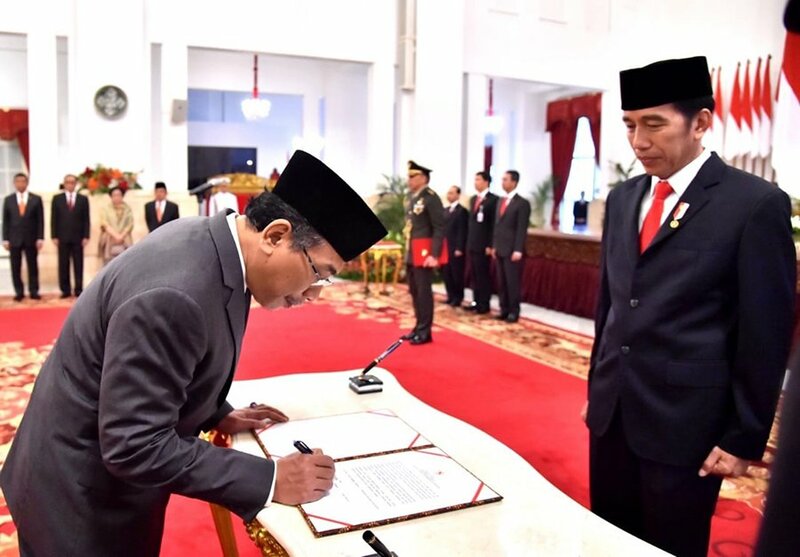 Our fourth president, Kyai Haji Abdurrahman Wahid, also strove mightily to bring the values of Pancasila to the forefront of Indonesia’s domestic life and its international relations. “In the midst of geopolitical instability and a rising tide of chaos throughout the Muslim—and, indeed, the non-Muslim—world, our founders’ vision is more vital than ever. Bung Karno and his colleagues sought to foster the emergence of a noble civilization that would benefit all humanity—East and West, North and South—as explicitly and implicitly stated in the Preamble to the 1945 Constitution of the Republic of Indonesia. Only we—the people of Indonesia—are direct heirs to this grand ideal and vision, in which [a pluralistic, tolerant and peaceful understanding and practice of Islam] was explicitly articulated and embraced, in the form of Pancasila, as our national consensus.